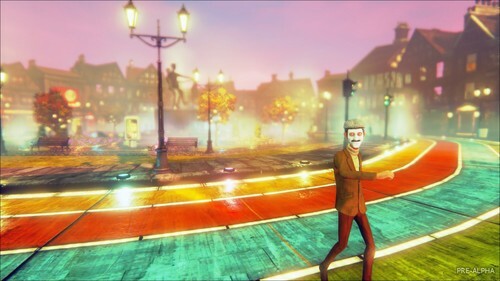 We Happy Few | 1920x1080 achtergrond. . HD Wallpaper and background images in the Video Games club tagged: photo gaming video game we happy few compulsion games. This Video Games wallpaper might contain straat, stad scène, stedelijke omgeving, stad straatbeeld, and stedelijke instellen.